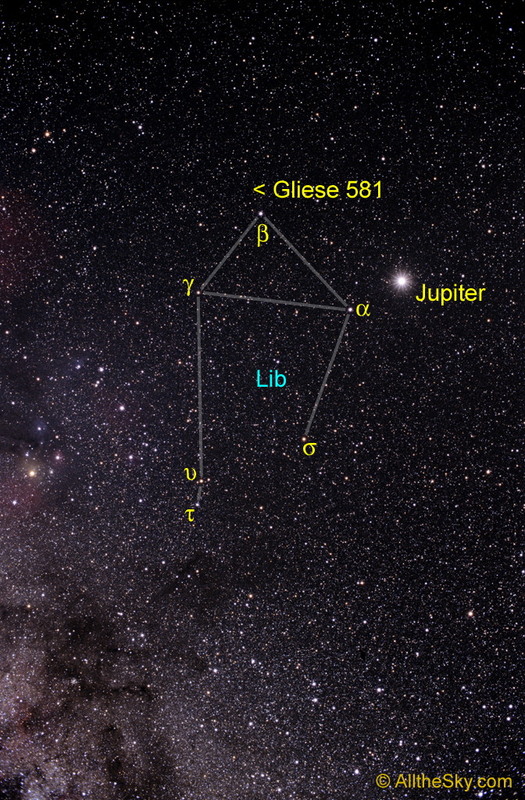 Constellation Scales and Gliese 581, the star where an earthlike planet has been found. 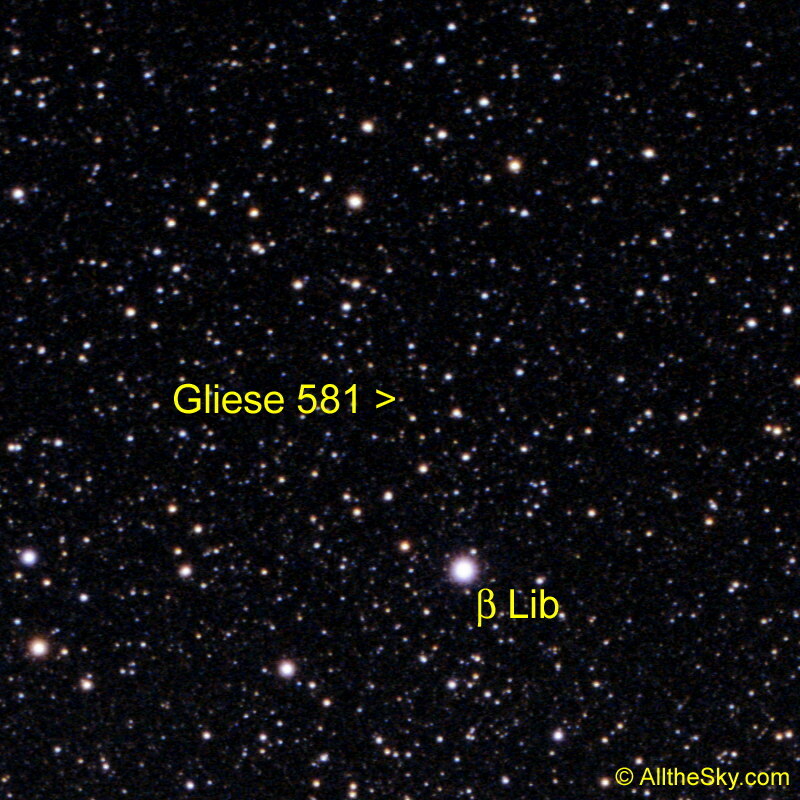 Gliese 581 is a red dwarf star in the constellation of Libra. 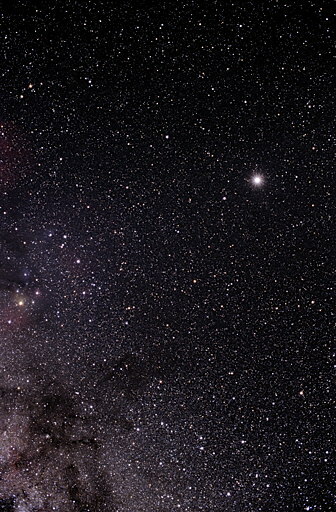 With visual magnitude 10.5 this star can't be seen by naked eye, but already with a small telescope. A planet, called Gliese 581 c, of about 1.5 times the diameter of the earth has been found there by the European Southern Observatory. It orbits around the central star in the habitable zone, i.e. in a distance that allows "comfortable" temperatures between 0 and 40 degrees Celsius. Therefore liquid water might be possible, which is necessary for life. 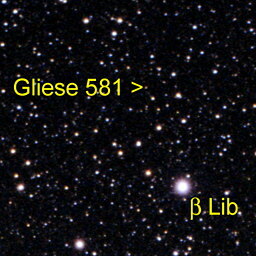 Gliese 581 in a magnification from the photo above.